Your previously sweet and loving senior pup who literally wouldn’t hurt a fly, seems to have gone demonic overnight. 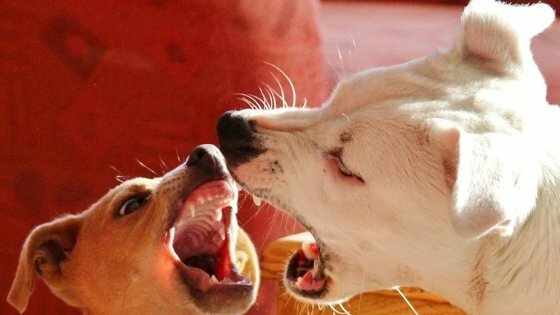 Don’t worry because there are reasons for sudden aggression in an older dog. What does this aggression look like for you? Has she started snapping? Snarling? Nipping? Biting? In what situations have you noticed this aggressive behavior? It’s a good idea to take notes every time you see your dog become aggressive, and if there are other people in the household, ask them to do the same. When you see them on paper a pattern may start to emerge of what’s going on at the time. It will definitely help with a diagnosis. What causes sudden aggression in dogs? Pain is a major reason for dog aggression and can be due to arthritis and other joint issues, dental disease, recovery from surgery and pancreatitis to name just a few. Dogs may experience an increase in anxiety as they age, and that anxiety can sometimes translate into aggression towards their humans, other pets in the family, strangers…anyone really. Confusion, anxiety and not recognising the familiar are just some of the symptoms associated with dementia, and yes that can lead to an otherwise sweet natured dog displaying bouts of aggression. Imagine how scary it must be for your dog as she starts to lose her hearing, vision or both. She has no idea what’s going on, and because she is startled more easily may lash out before she realises who’s approaching. Not common but not unheard of, a mass on the brain can cause a sudden change in personality. Your oldie may be very content with the life she has, and has little patience or interest in interlopers. You may have decided to bring a new pet into the family with the best of intentions, but now the newest addition is bothering the long time resident and she’s not liking it. This may very well cause some aggression, so speak to a dog trainer to help you figure out the way forward. Whenever there is a change in behavior, particularly in old dogs, I always recommend a trip to the vet, because there is the likelihood a health issue is starting to rear its ugly head. Your vet will probably recommend blood and urine tests to help with a diagnosis. Once you have an explanation for this aggressive behavior, a treatment plan can be drawn up to help. Being aware of the situations that induce aggression means there are things you can do to prevent or minimize them. Check out this article “Mobility Aids for Dogs” for more detailed information. If the kids are home for the summer, you have a big event going on or whatever the reason your house has become more chaotic than usual, create a safe and quiet space your pup can retreat to. You don’t want to banish her to a back bedroom all by herself, but set up a bed there anyway in case that’s where she wants to be. A crate in the corner of where the action is can be an option as well. Leave the door open, put a nice comfy bed and blanket in there and cover a couple of sides to give her privacy. Have options and she’ll choose where she wants to be. One more thing – she may prefer a room out of the way, but you don’t want her spending all her time alone there. Try and calm things down when possible so she can be with the rest of the family. Let everyone in your household know what’s going on, and together come up with strategies to help your dog. A sanity saver for me was a CD called “Through a Dog’s Ear.” Although my dog did not have aggression issues, she became quite anxious after her dementia diagnosis and this particular CD calmed her down like no other could. You can find a 13 minute sampler on YouTube before buying to see if it works. Here is a review I wrote about it that will give you more information. 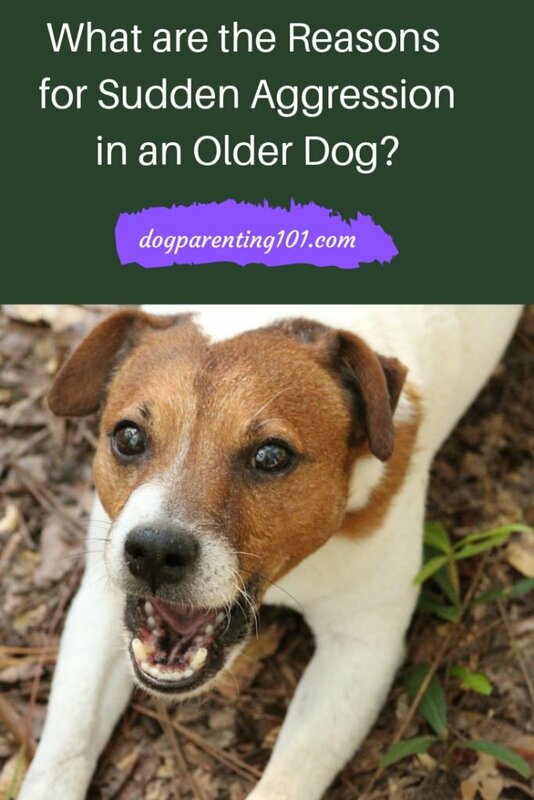 I hope this information about sudden aggression in an older dog has made you feel better, knowing there is action you can take that will help you figure this out. 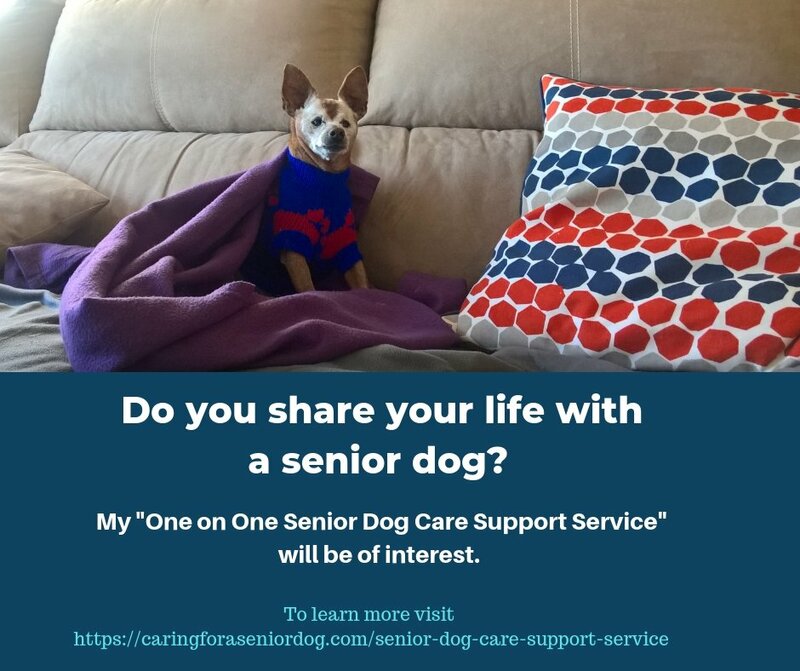 Have you been able to determine why your senior dog has suddenly become aggressive? What was the cause and how have you been treating it? Sharing helps others so please leave a comment below.